When it comes to creating new policies for your condo association, it is important to keep all points in mind to eliminate any disputes or complex situations. Make sure that everyone including the members and residents fully understand the responsibilities and roles of everyone. They should also know their roles in the creation, compliance and enforcement of the new policies. Follow these tips to get the best outcome when creating your new condo association policies. Make sure that all the rules created are easy to understand. The rules should also be easy to follow for everyone. It is always recommended to avoid policies which are too hard for owners to follow. The more you complicate the rules, the more issues you will be creating. You should also avoid extreme, reactionary rules. Oftentimes, boards can create stricter rules because of big problems. Remember, such rules can create more issues in the long term. You should not penalize excessively for minor breaches, such as first-time violations. When you create and implement new policies, it is important to communicate it properly and get feedbacks. Find out how much the new policies matter to or make difference in the lives of your community. It will be best to create policies after having built consensus. It is important for the board to ensure that everyone has been made aware of the new changes in policies. You should also provide enough time to the residents to comply with the new rules. 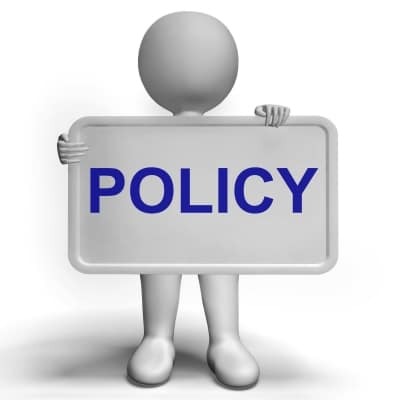 Make sure that the policies apply to everyone and you enforce them in a fair manner, without any bias. When residents feel that they are not being treated in a fair and equal manner, they will be less motivated to comply. It is easier to enforce policies in a more professional and fair manner with the help of a condo management company. When someone violates the policies, make sure they are delivered proper notices for the violation. Make sure a clear and detailed description is also provided of the violation and the penalties. However, it is recommended to provide the violators a chance to respond with their case. It is also important to provide ample time for them to respond or to seek legal counsel. Make sure to check the policies at least once a year. It is highly likely that the rules created a few years ago may not be relevant any longer. It is also likely that new laws have been regulated that make some of your earlier policies obsolete. Make it a part of the regular process to update and remove rules as and when required. So follow these tips to ensure that your condo association’s policies are updated in a timely and effective manner.